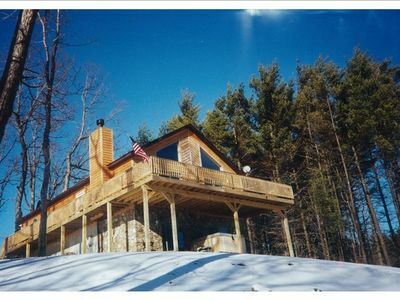 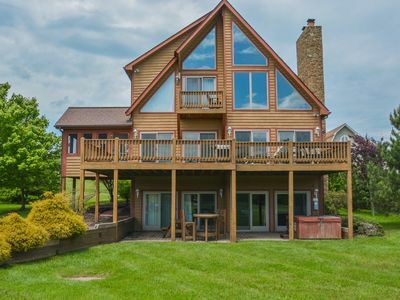 Dog-friendly country cabin w/ deck, firepit & air hockey - close to Yough River! 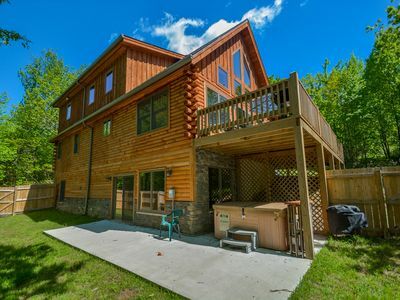 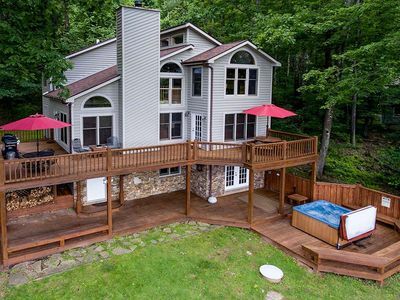 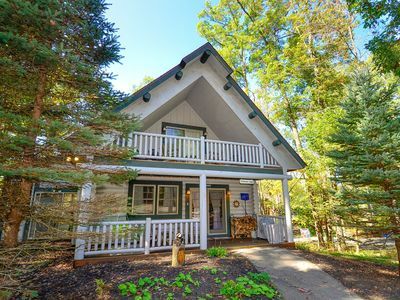 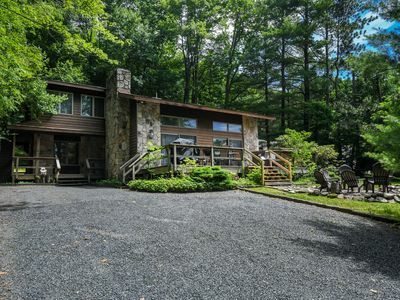 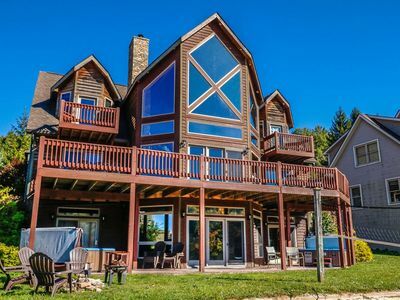 Experience the pleasures of country living at this three-bedroom Oakland home, a dog-friendly Maryland escape with a private deck and firepit, its very own air hockey table, and a wondrous location close to Swallow Falls, the Yough River, and Deep Creek Lake. 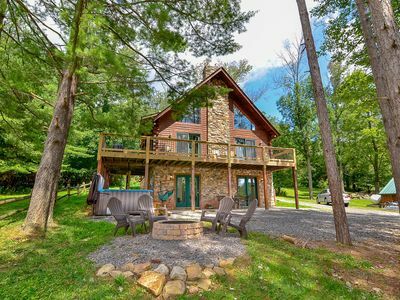 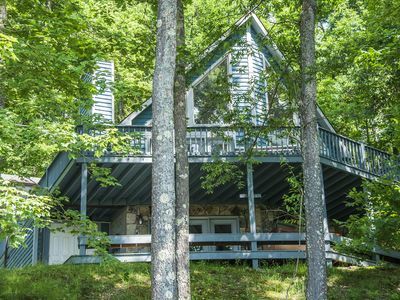 This two-level cabin is located on an open, grassy property, just one mile east of Swallow Falls and a put-in on the Yough River. 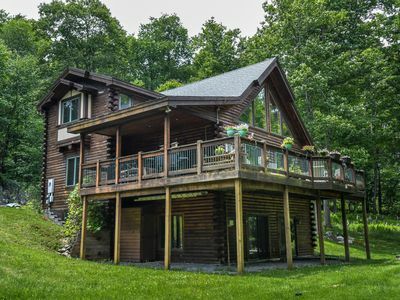 Spend your days hiking and kayaking through Swallow Falls State Park one mile east, get your summer and winter thrills on the slopes of Wisp Resort six miles north, and discover the sandy beach and boat launch at Deep Creek Lake State Park seven miles east. 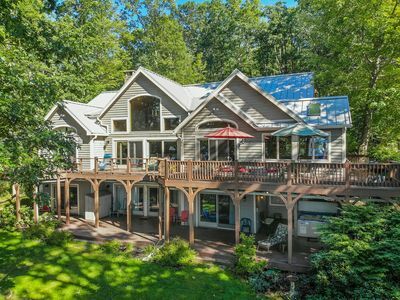 Make yourself at home beneath the shade of mature trees, where you can lounge on the private deck, shoot a few baskets in the driveway, or ready the gas grill for an afternoon barbecue. 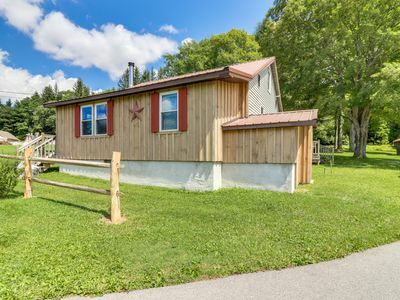 Take a seat at the picnic table with a cold drink, open a book on the bench swing, or take your dog for a walk around the neighborhood (please note that dogs must be leashed and a small nightly pet fee applies). 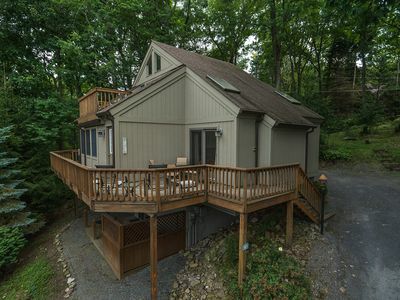 Lend a hand preparing dinner in the full kitchen (with stainless steel appliances and a dishwasher), and use the free WiFi to look up a few fresh recipes. 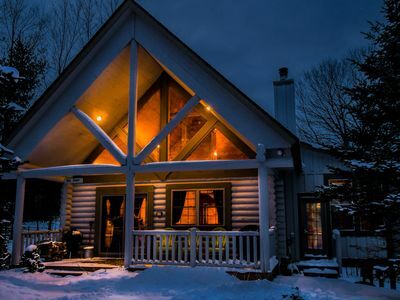 Roast marshmallows for dessert around the outdoor firepit, challenge your loved ones to a post-dinner game of air hockey in the game room, and end the evening with a few cable or DVD favorites on the flatscreen TV. 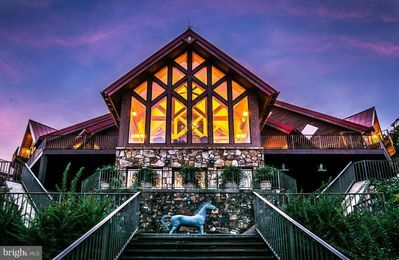 Experience the natural wonders of this special region of Maryland - begin planning your Oakland escape today! 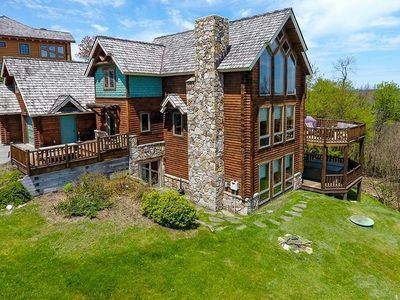 Exquisite 5 Bedroom Luxury Log home with private indoor swimming pool! 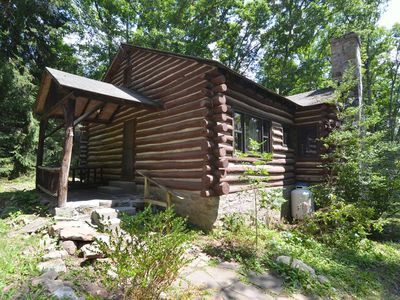 Cute & Charming 3 Bedroom Log Home w/ Hot Tub in quiet community! 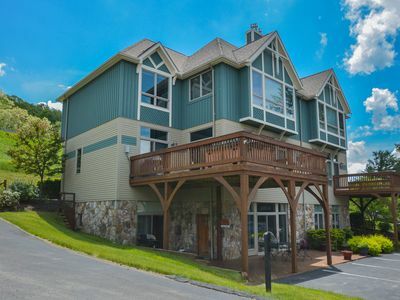 Walk to mini-golf, shops, restaurants & nightlife! 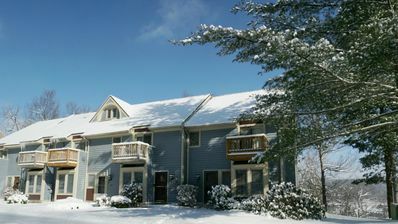 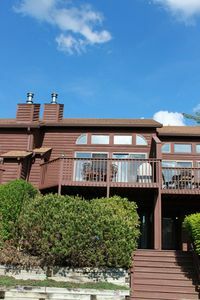 3 Master Suites, Nearby Dock Access, 5 Minutes from DCL Activities! 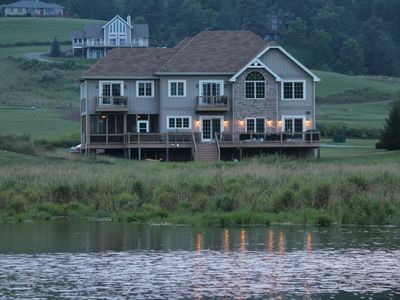 Lakefront home with lots of community amenities!